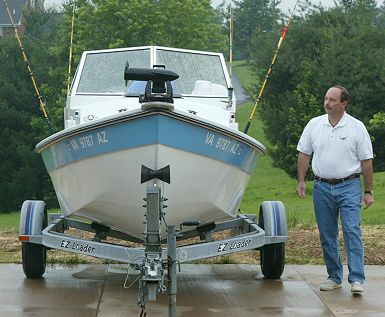 8-22-03: After 3+ years I am finished building my Cabin Skiff. 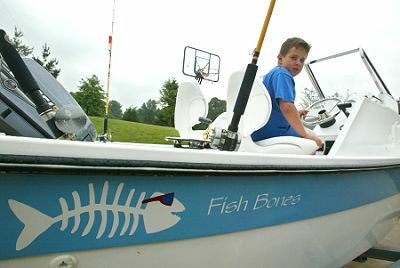 I named the boat "Fish Bones". I set it up for freshwater striper fishing. 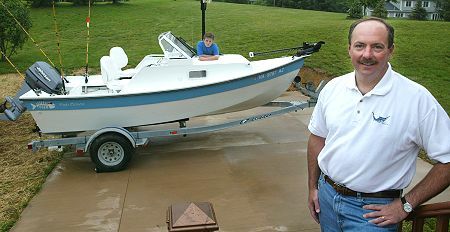 It has a 14 gallon live well, VHF, AM/FM/CD player, Raymarine 365 fishfinder. I put a 50hp Johnson 2 stroke on it. Top end is around 33mph. More info to come.